87 out of 100. Incorporating 1300+ ratings and reviews. The JamMan Stereo is the current JamMan series flagship looper pedal, and while it has been years since it was first introduced, it is still very much relevant and in demand. It stays true to the original JamMan design, focusing more on the needs of singer/guitarists with its four footswitch interface, stereo input/output, and microphone compatibility via a balanced XLR input. As expected, there's a lot of loop recording time to work with, thanks to its 35 minutes total recording time and 99 internal memory slots. And if that's not enough, you can expand the memory to 16 hours via an SDHC card, and add another 99 memory slots. 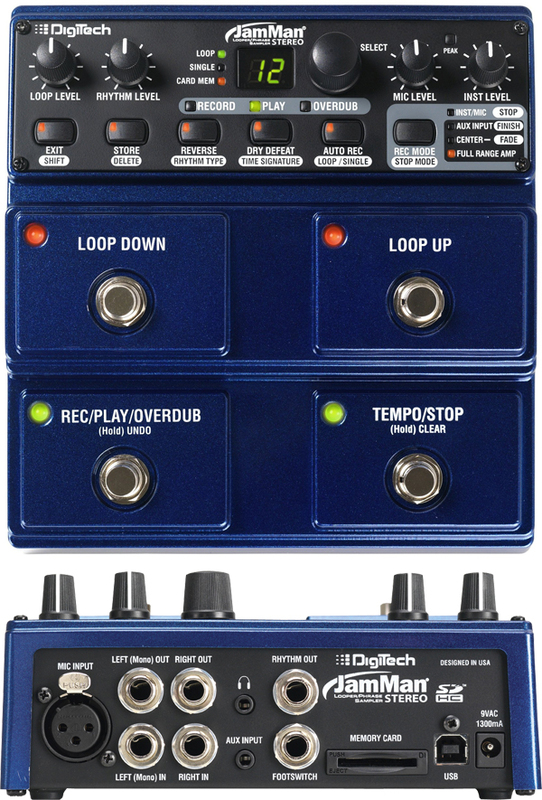 DigiTech added a bunch of extras that include Reverse playback, three different stop modes (Fade, Finish, Stop), tempo adjustments, and built-in metronome. Dimensions: 6.84" x 6.70" x 2.89"
The DigiTech JamMan Stereo continues to be reasonably well regarded, even after many years of being available. Its sound quality gets most of the positive feedback, from guitarists who use the pedal to build, save and play their own backing tracks. The four footswitches also offer better control, compared to compact single footswitch loopers. While many are pleased with its capabilities, there are some that find the JamMan Stereo lacking, especially when compared to what recently released loopers can do. We recommend that you check out some of the newer alternatives before buying this one - you'll find our current recommended list in our guide to The Best Loop Pedals.